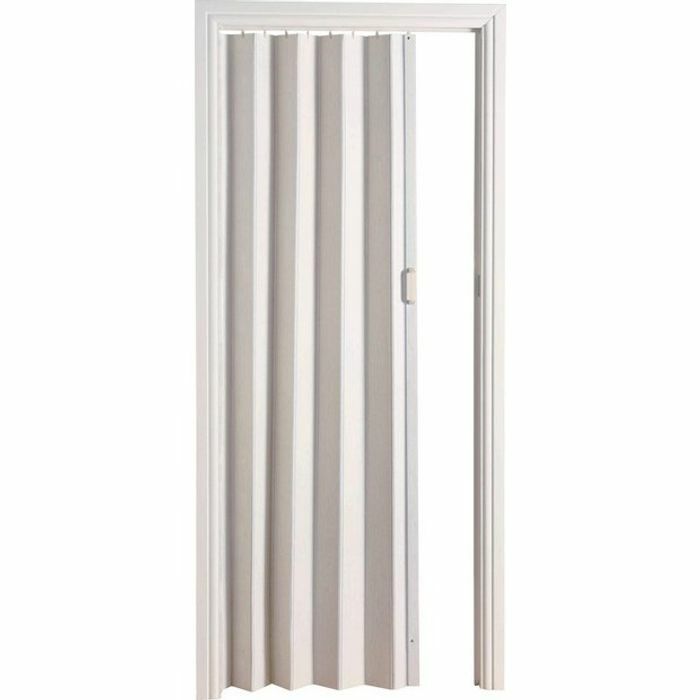 This white oak effect folding door is easy to fit and comes in an attractive aesthetic design. Not only does it act as a great draught excluder but it's also ideal if you're limited on space or perfect for closing off a utility room that might have a noisy washing machine inside. Fits openings 82cm wide and up to 196cm high. This door is supplied with runners. PetraFryer glad to hear it, mine is fab just remember to put 1 screw in the top plate then slide door on before putting the other screws in as my hubby put all screws in without reading the instructions then had to take them back out to slide the door in.